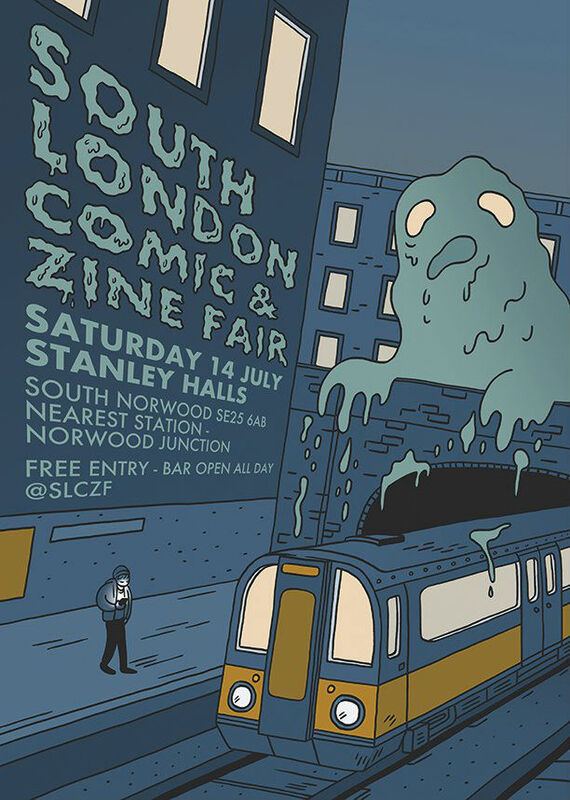 If you want to find out more about SLCZF you can read our festival report on last year’s triumphant debut here and follow the fair on Twitter here. 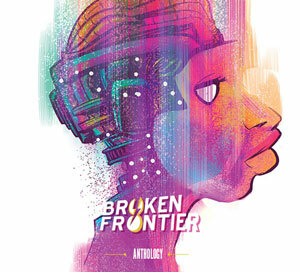 Broken Frontier are proud to be putting their name to the 2018 SLCZF Communal Table. If you want to find out how to have your comics displayed there on the day then all the guidelines are here. And don’t forget I’ll be available to speak to any aspiring creators about their comics practice and give feedback/advice on the day! ANDY OLIVER: Tell us a little about your background and your wider artistic practice? JADE KING: Hi. I’ve lived in London for all my 20s doing editing at an arts charity. 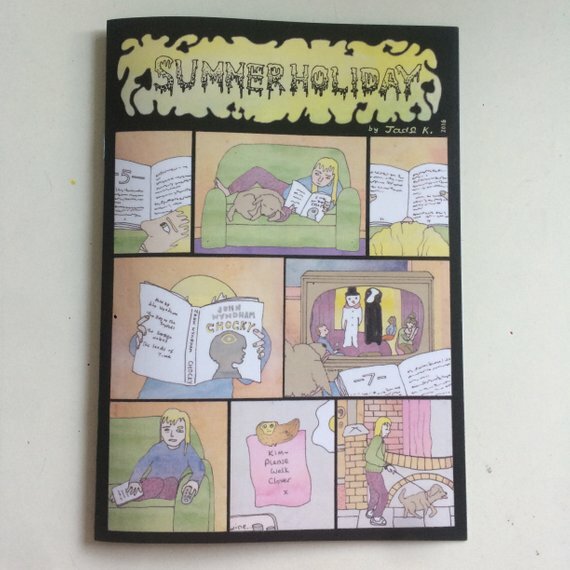 Photography used to be my favourite thing to do in my spare time, but I started drawing and making comics instead. Wish I’d gone to proper art school sometimes instead of sociology and photography stuff, but other times not. I’m from Portsmouth, which has some nice bits by the sea but the rest is a bit depressing. AO: How do you define your work in terms of theme or genre? What have you self-published to date? KING: Mostly short A5 comics. Themes are wonky faces, gross food, bodies, aliens, strange British phenomena (like meat raffles). I’ve mostly worked on a series about Tina and Britney, mermaid sisters who have a lot of teen drama. Britney is the pretty one, and Tina has the head of a fish. AO: How would you describe your artistic style? What mediums do you work in? KING: Scrappy freehand with an off perspective and lots of bendy black lines. I love bright colours, and want to get better at using them. (I get told off for being too self-deprecating about my drawing, sorry if I’ve done it again). 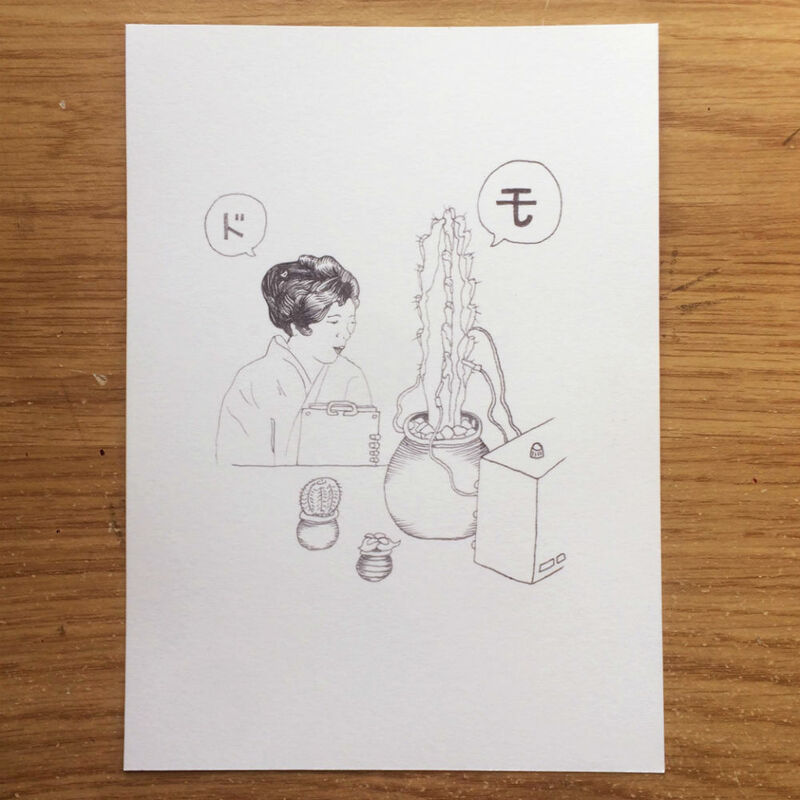 AO: What will you be selling at this year’s SLCZF? And whose work are you looking forward to picking up on the day? 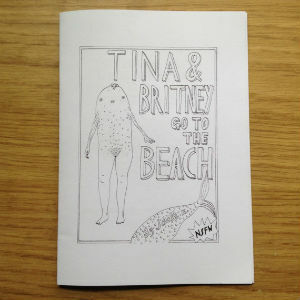 KING: I’ll be selling a bunch of mini-comics (including a new Tina and Britney, freshly caught from the ocean, plus a new colourful one about eating some mushrooms), and a few prints. 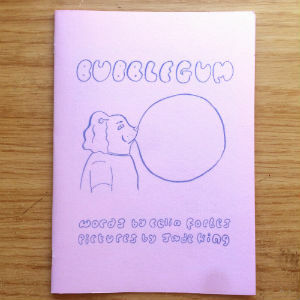 Looking forward to finding out about loads of amazing new comics makers! And basking in the eerie sci-fi glow of the wonderful Emix Regulus. And seeing if Hattie Comics has any more pulp romance tales. 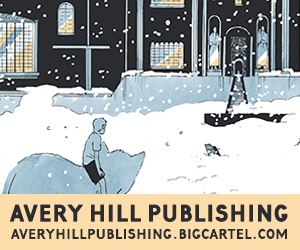 AO: What would be your one soundbite of advice to new artists just starting on their comics self-publishing journey? KING: JUST PRINT THEM OUT AND TAKE THEM TO FAIRS. 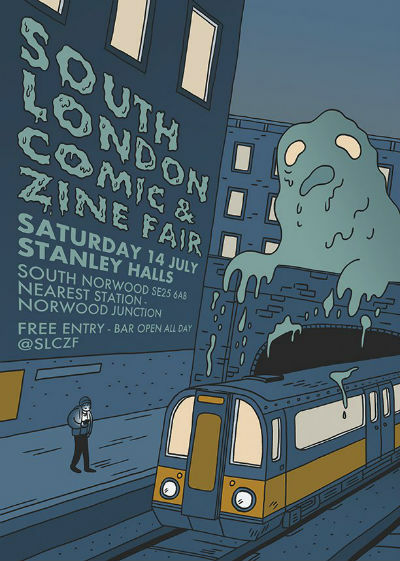 And don’t be scared to take them to show the small press people at Gosh and Orbital cos they’re really approachable and might give you some good advice. AO: What can we look forward to from you in the near future? Are there any longer-term projects you’re working on? KING: I want to 1) finish the second part of Tina and Britney Party Hard, 2) make collaborative comics with my hilarious and genius mates Celia (who wrote the words for our bright pink comic Bubblegum) and Sacha 3) try to meet and befriend some Glasgow comics makers and publishers without seeming like a big creep, because I’m moving up there soon. For more on the work of Jade King visit her site here and her online store here. You can also follow her on Twitter here.